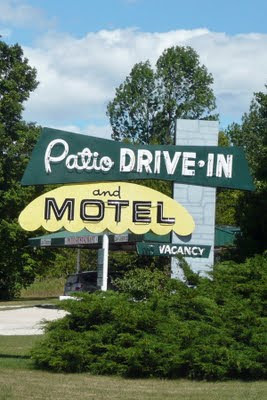 I love this sign up near where our cottage is located because it's so retro looking. 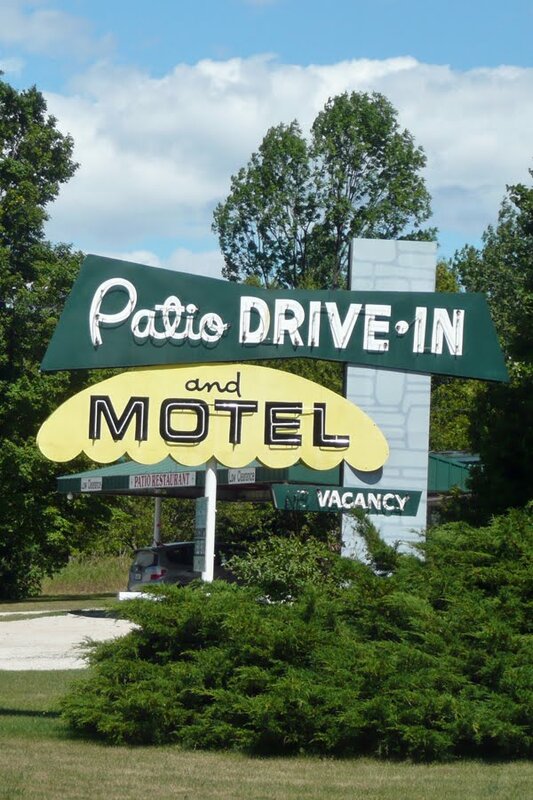 It reminds me of some of the places we would stay on summer vacation road trips with my parents and brother. This particular place is nothing much to look at, but they do serve one of the best chocolate shakes in the county!